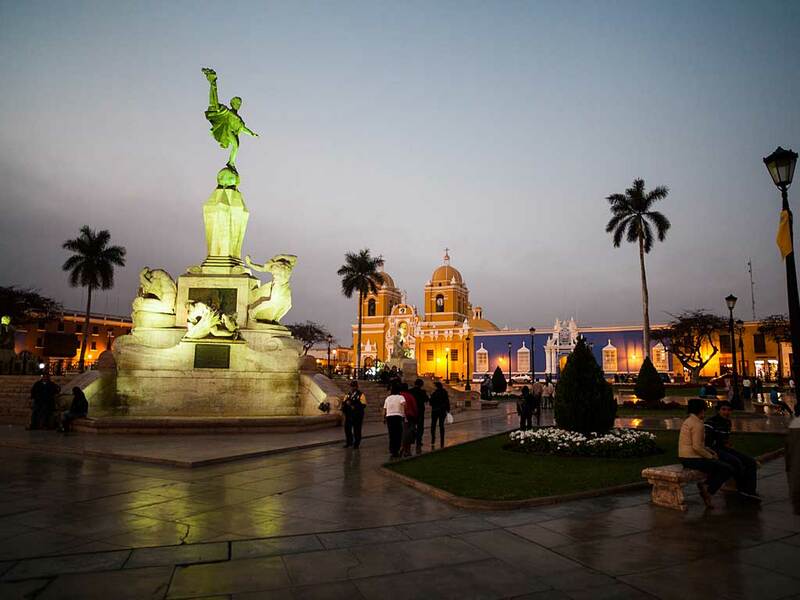 The elegant city of Trujillo has a fine colonial centre with a magnificent, mustard-yellow cathedral and some splendid historic mansions – and a renowned surfing beach. And, of course, it is an ideal base from which to explore the jaw-dropping Chan Chan. 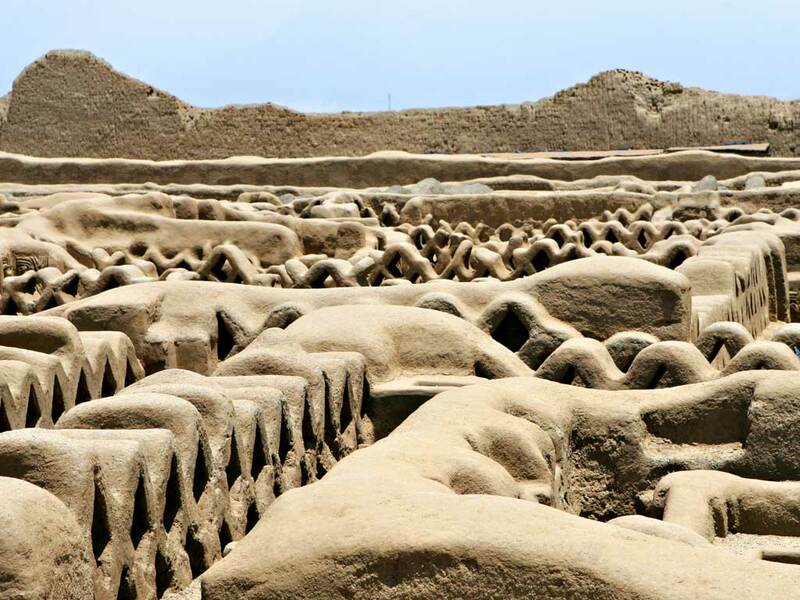 Once the largest city on in the Americas and today a UNESCO World Heritage Site, Chan Chan remains the largest adobe set-tlement in the world. 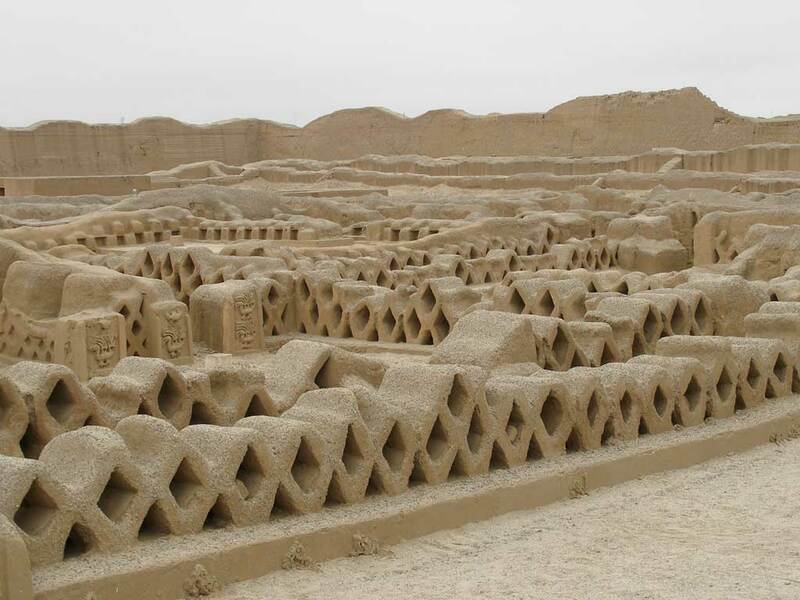 It was once the wealthy capital of the Chimú empire, home to over 50,000 people. Magnificent, intricate and precisely-carved buildings and structures, some once clad in gold, have withstood the elements in a remarkable fashion, though climate change has meant that protective measures are now needed to preserve them. 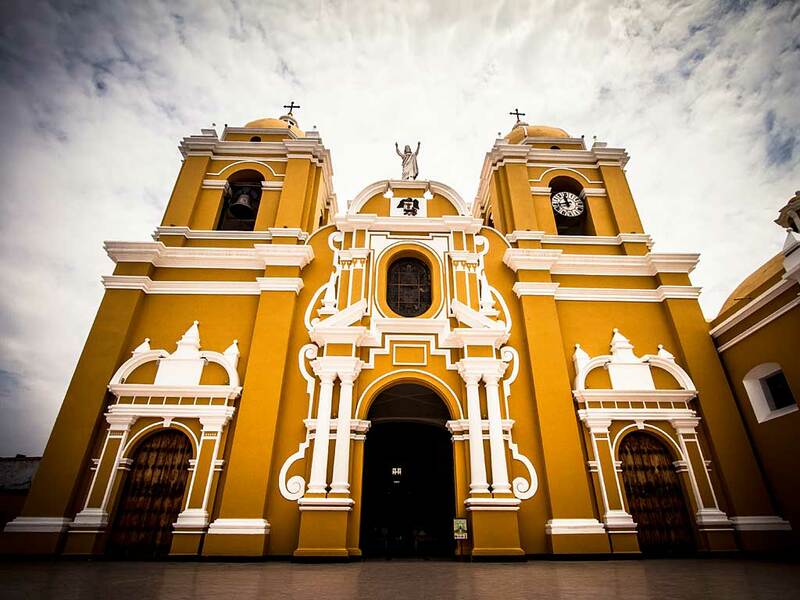 Explore Trujill’s fine colonial buildings, most famously the striking yellow Basilica Menor Catedral, the 18th century Casa Ganoza Chopitea, with its lovely frescoes, and the bright blue Casa de Urquiga. 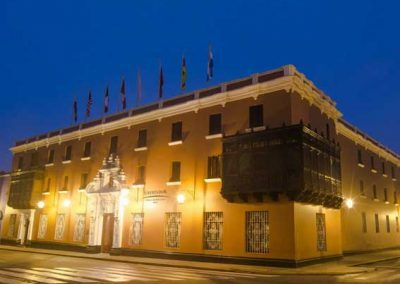 This is now a working bank, but you can go in and admire the glorious antique furniture, including a desk once used by ‘El Liberator’ Simón Bolívar. 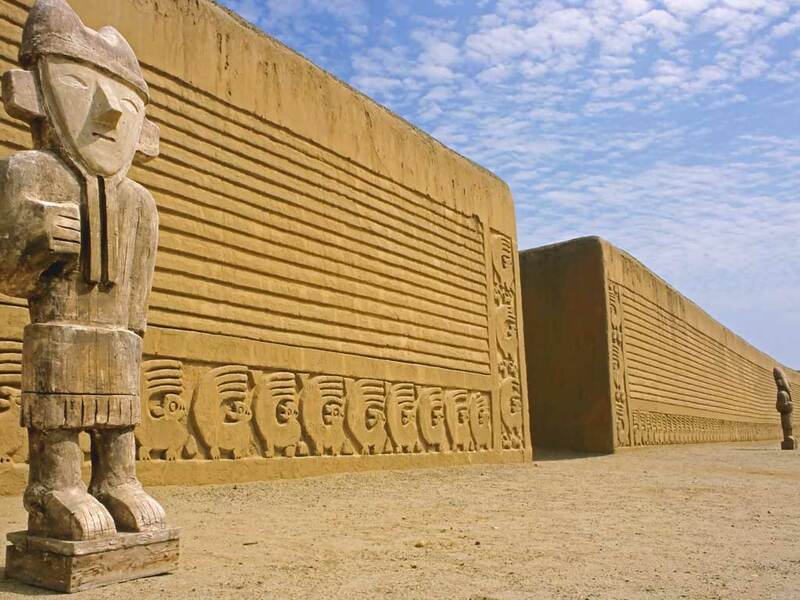 Learn about 14,000 years of Peruvian history in the Museo de Arqueologíam. Eat at one of the fish restaurants at the beach at Huanchaco – believed to be the birthplace of ceviche. It’s also an International Surfing Reserve and snapping a photo of the rows of Caballitos de Totora – fishermen’s slim reed rafts – standing on end on the sand is a must. Marvel at the skill and ingenuity behind the incredible architectural achievement that is Chan Chan. 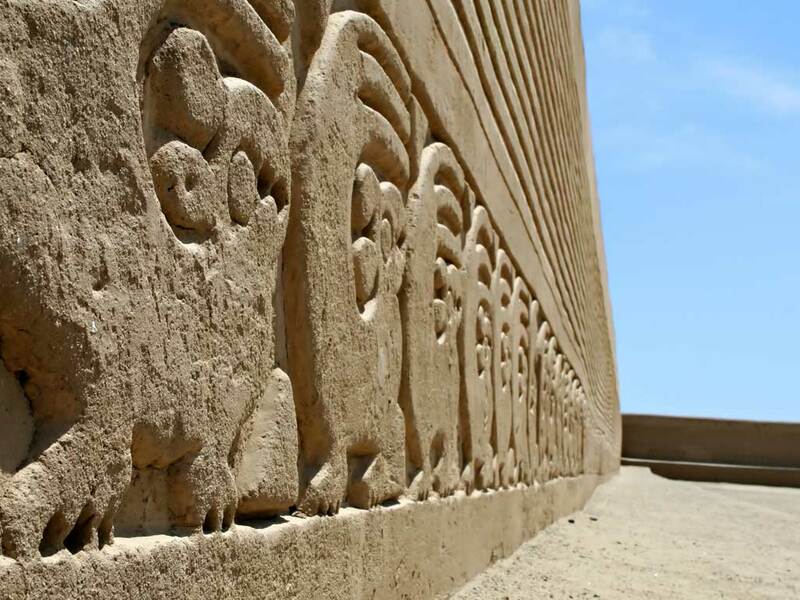 In spite of having no written way to document measurements or plans, the Chimú engineers created an impressive system of irrigation canals and wells. 9 walled citadels once housed royal burial mounds crammed with offerings. Walls as high as 8m surround houses, ceremonial rooms and temples, and you can wan-der their corridors, imagining the temple walls covered in gold and gold statues in the gar-dens. 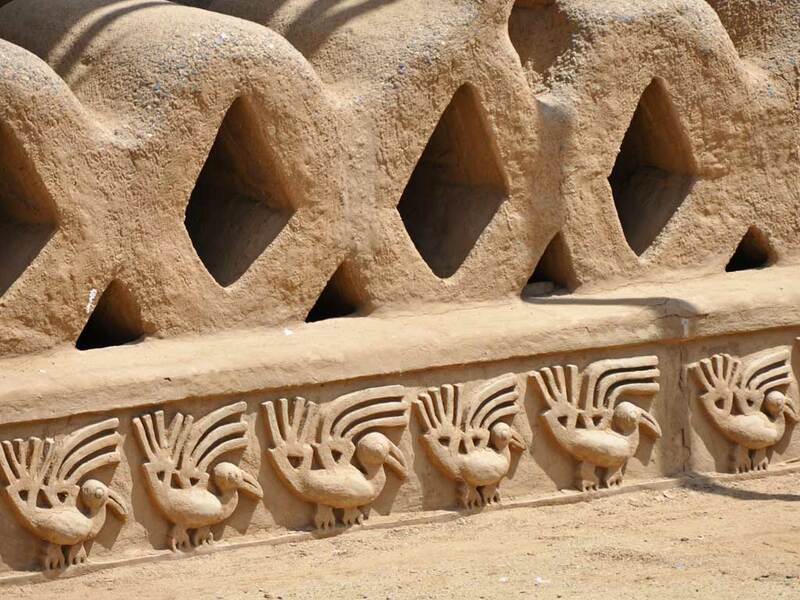 Explore the Tschudi Complex, with its restored ceremonial courtyard, friezes featuring fish and seabirds and the Gran Hachaque Ceremonial freshwater pool. 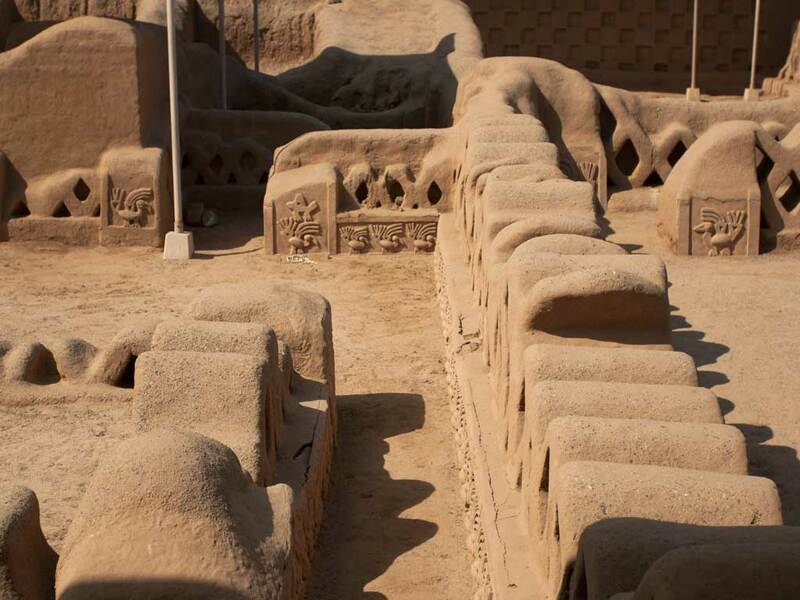 Visit the Museo de Sitioto and view scale model replicas of Chan Chan as it originally looked and view aerial images and maps of this huge site. Chan Chan has a host of different types and levels of accommodation, so there is something to suit all tastes and budgets.